Our visual identity reflects our story and conveys the unique voice that can only be the School District of Philadelphia. Our design elements provide a powerful set of tools to set the stage for compelling storytelling, and making the connection to who we are and what we believe. By using these elements consistently, we can assure recognition across all our audiences. These key components of our logo, color palette, and font should always be used consistently to preserve and reinforce our identity. In accordance with Federal law, and consistent with our efforts to provide all of our community, students and families with the information they need in a format they can use, we comply with ADA (Americans with Disabilities Act) regulations in our communications both in print and online. These standards state that all electronic and information technology must be accessible to people with disabilities, and affects everything from the colors we’ve selected in our palette to the size and type of font we use, here at the District. We are legally required and morally bound to maintain these standards. We’re provided resources and checklists to help ensure you can easily uphold these regulations. Our logo is the primary identifier for the School District of Philadelphia and represents all of our schools and offices within the central office. There are three formats of the SDP logos available for use by all offices, schools and partners of the district. Use the logo on all communications of district-wide, school, office, and special projects websites. Do not use on materials to imply an endorsement by SDP. Use as placed. Do not modify, move, stretch, skew, or obscure with fonts or other graphics. Black and white knockouts permitted, but Navy should be used whenever possible. The logo is an identifying element and therefore the colors should never be altered. The font should not be substituted, stretched, condensed, etc. It is a piece of the logo art. Type is never to be printed over the logo. The logo is meant to be used as designed. Adding special graphical effects such as sun flare or beveled edges is prohibited. 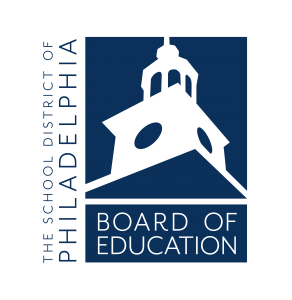 The SDP logo is protected property of the School District of Philadelphia. Please email communications@philasd.org if clarity is needed regarding proper use. Our logo is not only an identifying element, it is also complaint with the Americans with Disabilities Act regulations and thus should never be altered. The logo is the primary identifier for the Board of Education for the School District of Philadelphia and represents the governing body of the District. There are multiple formats of the logo available for use. Depending on the intended output the Print CMYK versions should be used when the final product is a printed material and the Web RBG should be used when the final product is web based. 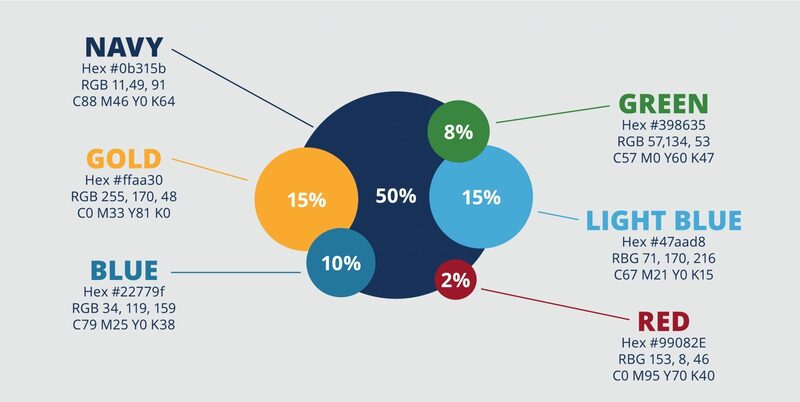 Download the Logo Usage Guide for further information on proper utilization. The logo is protected property of the Board of Education and should not be used on materials to imply an endorsement by the Board unless previously approved. Please email schoolboard@philasd.org if clarity is needed regarding proper use. The strength of our color palette is in its consistency. 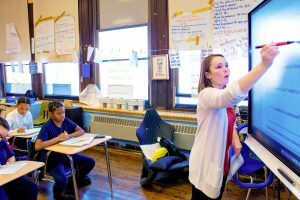 Adhering to these color guidelines will result in clean, comprehensive communications that are instantly recognizable as the School District of Philadelphia. NAVY serves as our primary color and can be paired with any other color in the palette. This is the best choice for body copy text. GREEN and BLUE serve as secondary colors and should be paired with the primary navy color. The secondary colors are great for headers and possibly callouts. Do not use green and blue together because their values are too similar, so combined, they are difficult to differentiate. GOLD, LIGHT BLUE, and RED serve as accent colors. All accent colors can be used with the primary navy color while gold should be paired with blue and light blue should be paired with green. Gradients are okay with transparency only – no tints or shades should be used. Color code choice depends on the intended output (print or digital). Using correct codes will ensure accurate color reproduction on your final product. CMYK color codes should be utilized for printed materials meant to be seen or read on paper as opposed to screens. Hex codes should be used when creating websites. When it comes to our color palette, less is often more. 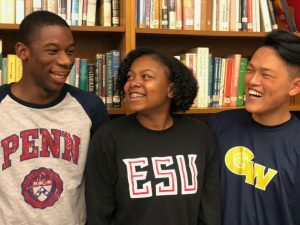 By using black (or navy when appropriate) text and white space as the primary colors on our letters home, presentations, or agendas it draws attention to the times we use color to highlight important information or help headlines pop. Meanwhile, the use of white space can help focus attention on what is there and help our communications feel clean and modern. Don’t think of white space as an area we need to rush to fill, but rather a design element we can use to improve our communications. Our colors that have been chosen are in compliance with ADA regulations. The guidelines for usage keep us complaint with ADA regulations and should not be modified. Much like our logo and color palette, our fonts and typography serve as powerful tools to provide consistency through our communications . 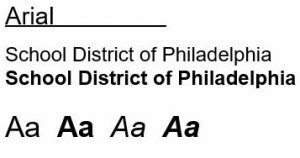 The ARIAL font is utilized for all documents created by District staff for communications to staff, schools, families, and external stakeholders. In most instances the font will be utilized as is in regular weight, however bold weights can be used for headlines or to denote emphasis. Italics and Bold Italics should be used sparingly. In written communications the font size default is 11. The USUAL font is utilized for all graphics and materials, such as our logo, professionally created by our communications team or graphic designers primarily for external and promotional purposes. The default font size of 11 is the minimum required to be ADA compliant. Headlines should have a consistent pattern to be ADA complaint. 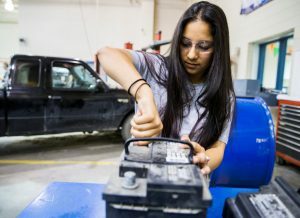 Education in action: Students trying, learning, and achieving. Principals leading. Teachers teaching. Families partnering. Neighbors and other supporters caring. Honest: Candid shots of real people who reflect our community’s rich diversity. Inspiring: Individuals so curious, amused or focused, they’re unaware of cameras. Surprising: Moments that force another look, correct misconceptions, and cause sharing. The SDP Photo Gallery is for internal use only. Please contact the Office of Communications if you have photography needs for press purposes. As with still images, moving images create a powerful and engaging approach to connect with external audiences. Video can be one of the most compelling mediums through which we tell our story, and provide visual evidence of our core values and key messages. 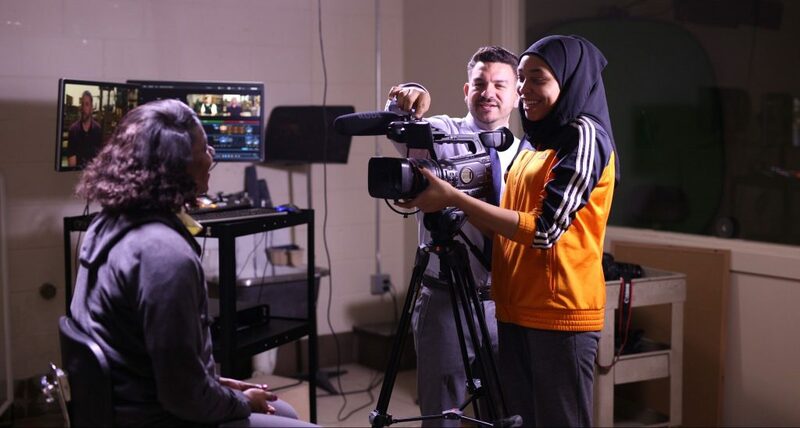 Like all promotional materials, District videos must be of the highest quality. They should be visually clean, engaging, and modern in order to capture the personality of our schools, students, and staff. Utilize visual imagery that creates a sense of place, movement, and subject energy. We can better connect with our audiences when we portray an authentic experience that is defined by real people and real expressions. Story telling relies on authentic remarks from interview subjects. A visual sense of intimacy allows audiences to feel connected with the speaker and provides opportunity to engage with the passion being portrayed. When audiences listen to us convey our message, it is also important for them to see it in action. Prioritize gathering footage that relates to the story being told to ensure that key messages are getting across effectively. This section is currently under development, check back soon for updates and additional resources. 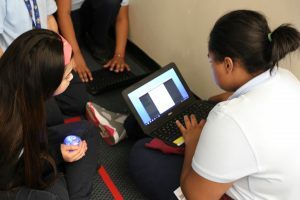 Every School District of Philadelphia website contributes to the community’s understanding of our public schools and should be seen as the digital front door that invites our families, students, and staff into our schools and our work. The Website Content Creative Brief and Writing Guidelines provides helpful reminders about tone, and audience, suggestions for organizing your content, and some items to ‘check off’ to ensure your site is complete. For helpful videos and steppers to guide you through WordPress tasks, along with other related resources, visit our WordPress Tutorial Website. The default website pages incorporate ADA compliance rules. Offices should use tools provided through Word Press to build websites. ALT text must be utilized on all images and PDFs.